Hundreds of pharmacists on contract service who either ended or are ending their housemanship this month are reportedly anxious over their failure to get permanent posts as well as the lack of information over the positions. The Star reported one unnamed pharmacist as saying that only 180 out of the around 500 of those who received their licence on November gained placement while the rest will serve another year of contract service. Those who obtained permanent posts are also unclear about their postings, while the rest want the Health Ministry to disclose its criteria in granting such permanent posts. On Monday, Health Minister Datuk Seri Dzulkefly Ahmad said Putrajaya is not obliged to absorb every pharmacist who completes graduate training or mandatory training. He was commenting on the issue roiling on social media regarding the implementation of permanent appointment of Grade UF41 (contract of service) pharmacists undergoing graduate training or mandatory service. The minister stressed that non-appointed permanent contract officers would spend the remaining one-year contract to complete their graduate training or mandatory service before being released to work in the private sector. 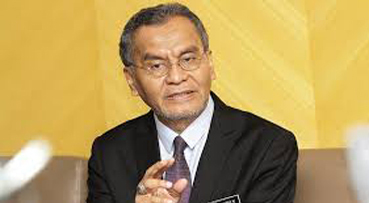 Dzulkefly said that, in 2016, the government decided to appoint grade UF41 pharmacists on “contract of service” basis to enable them to undergo graduate training and mandatory service before being registered by the Malaysian Pharmaceutical Board (LFM), which is a prerequisite for them to practise in the private and government sectors. The contract appointment was done as there were insufficient permanent posts at the ministry to cater to the number of graduates, resulting in the long waiting period for them to undergo graduate training and mandatory service. Pharmacy graduates must first undergo a one-year graduate training before they can be registered with the LFM, which will then issue them a notice of mandatory service to serve for one year.